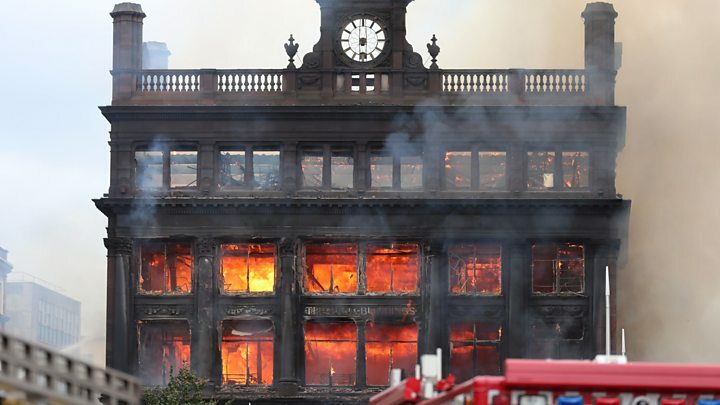 The cordon around Belfast city centre's Primark store is likely to be in place for at least four months, after a major fire devastated the listed building. A blaze burned for three days at the retailer's flagship store in Bank Buildings. Fourteen businesses within the safety cordon are currently unable to trade. Speaking after a meeting of traders at Belfast City Hall, Lord Mayor Deirdre Hargey said that "any opportunity to shrink this timeline will be taken". Businesses have reacted with anger and disbelief to the announcement. 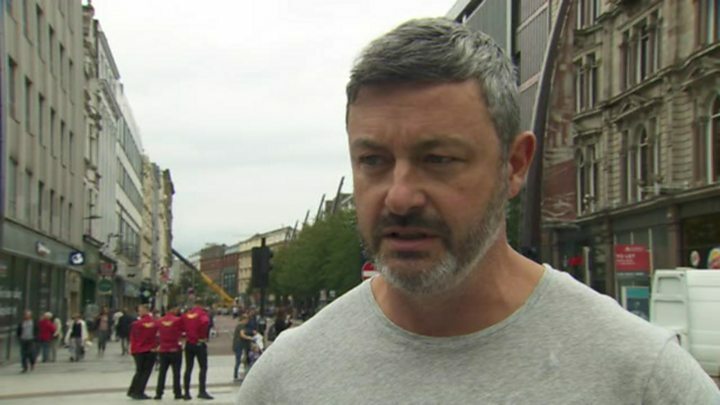 Peter Boyle, founder and CEO of Argento, a jewellery store in Royal Avenue, told the BBC News NI he "just can't believe" that the cordon will remain in place for four months. "Disbelief and anger and frustration and worry...we just can't believe that it would take four months to stabilise that building. "I would have got a ball on the end of a chain and put it through the front of the building immediately and we could have got on with tidying up afterwards. "But we are at the point now as retailers where we're going off to get a second opinion from demolition crews that if the decision was made to knock it down tomorrow morning, how quickly could they get it down?," he added. Rajesh Rana, President of Belfast Chamber of Trade and Commerce, described the restrictions as "totally unacceptable". "Traders are reporting a serious decline in takings over the past seven days," he said. "We call for Belfast City Council and Primark to find an urgent alternative to this cordon to allow pedestrians to access the area safely. "Some kind of temporary structure through the area is one idea we have put to them. Aodhán Connolly, director of the Northern Ireland Retail Consortium, said that the news "is simply devastating". "We are in the run up to the busiest time of the year for retailers and not being open for the Christmas period will be make or break for some retailers. We need the cordon lifted, access to shops and for consumers to keep coming back to the city centre. Belfast is still open for business," he said. Engineers are to assess the site over the coming days to determine if the building's façade can be saved." On Thursday, Belfast City Council will start erecting signs in the area, with no through access down Royal Avenue. "Businesses remaining within the Primark safety exclusion zone have been advised that the current cordon is likely to be in place for a minimum of four months," said Ms Hargey. "The four-month period is not solely defined by the fact this is a listed building. Any opportunity to shrink this timeline will be taken. "While it is imperative that the safety cordon remains, we recognise it is having a serious impact - not just on the traders within the cordon, but for those in the immediate area who are suffering due to a reduction in footfall." She said the council would be putting measures in place to help businesses who are struggling. It comes as Primark said it remains committed to trading in Belfast as "soon as possible". On Tuesday, hundreds of workers from the store attended a meeting with the company's management. 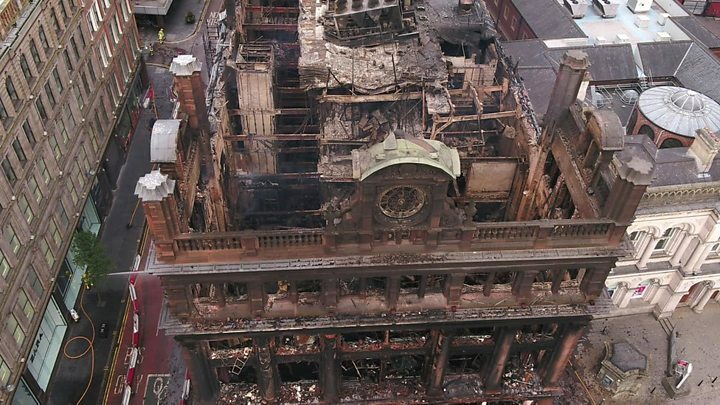 At the time of the fire, the Primark store was being refurbished and extended at an estimated cost of £30m.